MANILA -- If former president Diosdado Macapagal were alive today, what would he say to the Filipino people? Speaker Gloria Macapagal-Arroyo said on Friday her father would urge Filipinos to “help our country” and “support” President Rodrigo Duterte. 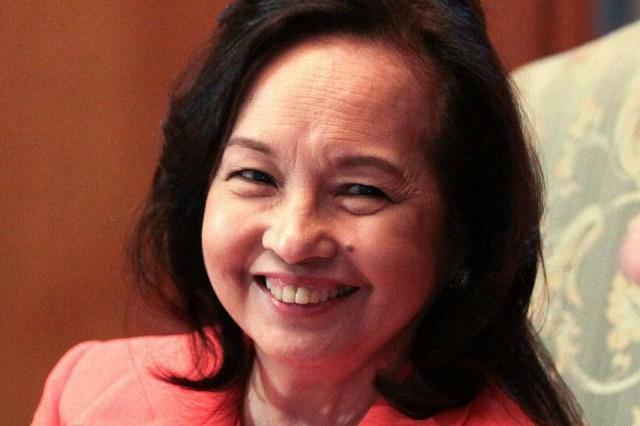 Arroyo made the remark as she led the event to commemorate the 108th birth anniversary of the late president at the Diosdado Macapagal Museum and Library in Lubao, Pampanga. “He would be telling the Filipino today let’s help our country. The President (Duterte) has been president (for) two years, let’s support him and give him a chance,” she said. Arroyo also urged the public to give Duterte a chance to solve the country’s problems. “Bigyan natin sya ng pagkakataon na masolusyunan yung mga sinisikap nyang masolusyonan (Let’s give him [Duterte] a chance to solve whatever he strives to solve),” she said. Duterte remains to be the national official with the highest approval and trust ratings, according to a recent Pulse Asia survey. Results of the survey, held from Sept. 1 to 7, showed the President scored a 75-percent approval rating and a 72-percent trust rating.